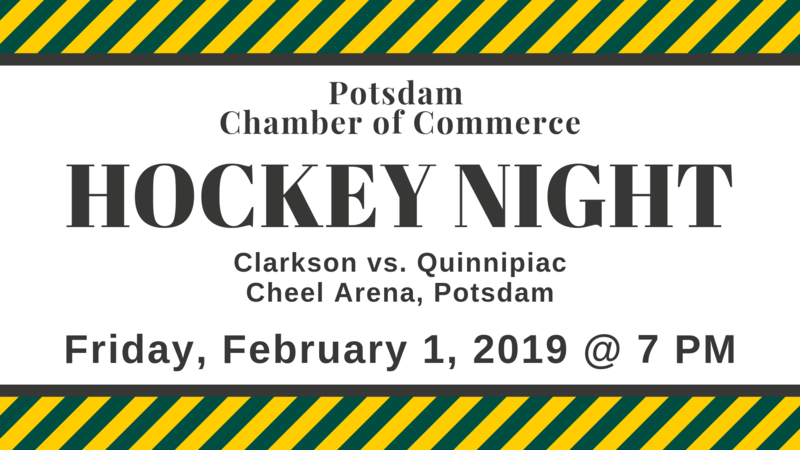 The Potsdam Chamber of Commerce will host the annual Chamber Hockey Night during the men’s hockey game at Clarkson University vs. Quinnipiac University on Friday, February 1, 2019 at 7 PM at the Cheel Arena. Attendees will be seated in the designated Potsdam Chamber section with extra opportunities to win prizes. Clarkson University donates a portion of the ticket sales to the Potsdam Chamber to support community events such as Summerfest. This ticket form is now closed! See you on Friday!